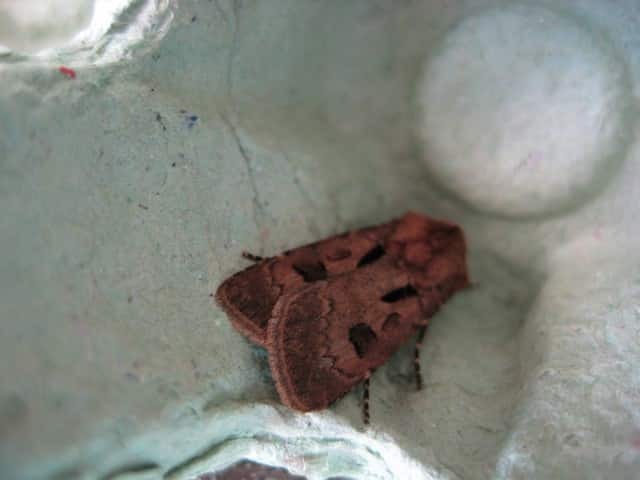 This Heart and Dart moth was caught in a moth trap by Fiona Phipps, one of Assynt’s moth experts. It was caught on 24th April 2009. There are several people who regularly put out moth traps in Assynt.